***AVAILABLE IMMEDIATELY***At last you have arrived in paradise! Quality built by Morningstar Custom Homes, constructed with care and attention to detail. Three bedrooms a full 4 pc main bath and a 4 pc ensuite off the master. 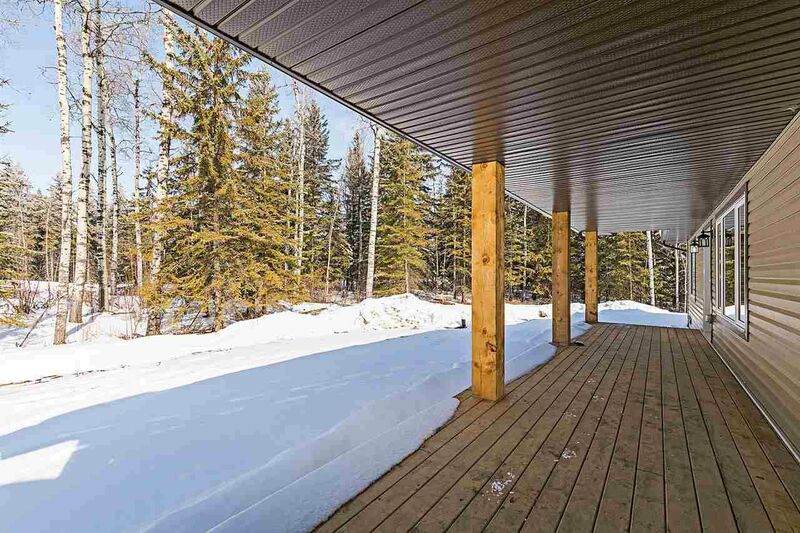 HUGE Double attached Insulated and oversized garage...2.64 ACRES enveloped by a mature natural oasis! Beautiful vaulted ceilings, open concept living, kitchen and dining. Experience acreage living amoungst the gorgeous backdrop of nature at its finest. High end Constant Pressure Water System , HE furnace, HE Hot water tank..basement wide open, room for two more bedrooms and plumbed in for a THIRD FOUR piece BATHROOM! The quality and pride of building exudes! Available for Immediate purchase, and possession, builder provides PROGRESIVE New Home Warranty, GST included, Any rebate back to builder. Enjoy the breathtaking landscape, and the serenity of extreme privacy.